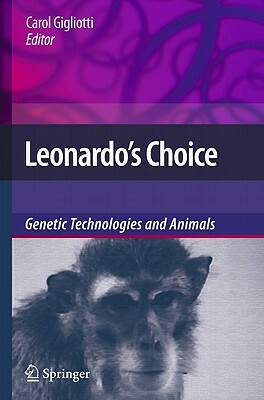 Leonardo's Choice: Genetic Technologies and Animals is an edited collection of twelve essays and one dialogue focusing on the profound affect the use of animals in biotechnology is having on both humans and other species. Communicating crucial understandings of the integrated nature of the human and non-human world, these essays, unlike the majority of discussions of biotechnology, take seriously the impact of these technologies on animals themselves. This collection's central questions revolve around the disassociation Western ideas of creative freedom have from the impacts those ideas and practices have on the non-human world. Included essays contribute significantly to a growing scholarship surrounding "the question of the animal" emanating from philosophical, cultural and activist discourses. Its authors' are at the forefront of the growing number of theorists and practioners across the disciplines concerned with the impact of new technologies on the more-than-human world.